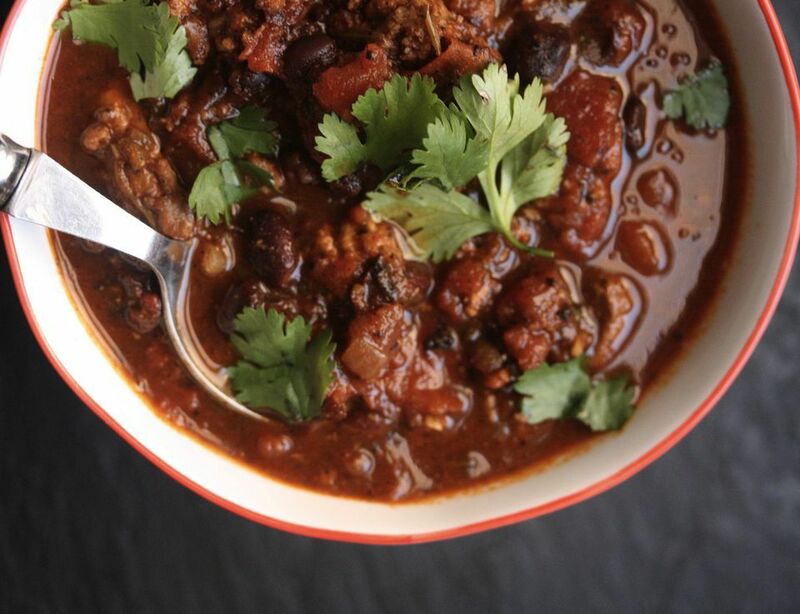 Use leftover brisket to enhance a bean chili. Black beans are a tasty, versatile, high-protein ingredient and their mild flavor makes them a great base for so many of our favorite dishes. It's worth learning how to make beans from scratch but if you don't have time, open up a can. These recipes range from tasty, small plates to stick-to-your-ribs mains, some of these recipes are vegetarian and others are meaty, but all of them celebrate the wonderful black bean. You'll need a food processor for this one. With corn meal as a binding ingredient, these black bean patties fry up easily on the grill or stovetop, just like a regular beef burger. 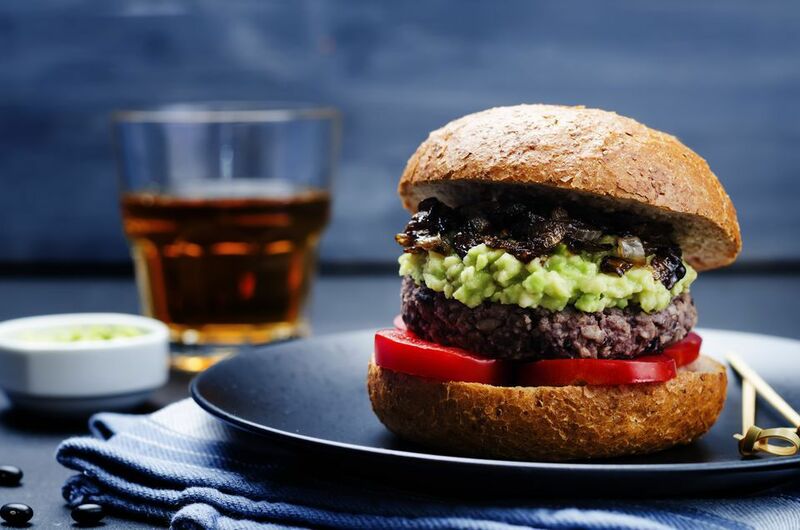 With lettuce, tomato, and any other topping you prefer, these spicy burgers are a perfect summer dinner. Spicy andouille sausage, black beans, and a healthy serving of a variety of spices makes this creole style crock pot dish with black beans and sausage a southern favorite. Served alongside some classic corn bread, these beans are the soul food of your dreams. The breakfast bowl could be eaten at any time of day. This recipe requires brown rice, black beans, salsa verde, two large eggs cooked over easy, and cheddar cheese. Feel free to add avocado slices if you're looking to treat yourself! This fiesta chicken with black beans dish takes seven hours to simmer in a slow cooker or crock pot. We reccomend using chicken thighs, and possibly thinning the mixture out with some chicken broth or water if you're cooking at a higher temperature. Otherwise, serve with rice, sour cream, and guacamole. For a classic yellow rice and black beans side dish, look no further. This recipe is a staple of Caribbean cuisine, and perfect to serve alongside a chicken based main. Sofrito is the key ingredient here, a tasty vegetable and spice puree. For incredible savory empanadas that skip the meat, try these vegetarian empanadas with black beans and corn. We reccomend making both the filling and the dough in advance and chilling overnight. This will make the dough soft, smooth, and ready to be shaped. These black beans are cooked in a Peruvian style called "escabechado," which translates to something like "pickled." Spicy Peruvian style black beans make a great side dish or main when plated with rice but also make a great addition to a burrito or salsa dip. If your family members aren't fans of meat loaf, they will be now. This meatloaf uses ground beef and black beans along with a mixture of spices for a classic southwestern flavor. Top with salsa or tomatoes with green chiles. Here's a vegetarian alternative to classic ground-beef stuffed peppers: peppers stuffed with rice, tomatoes, and delicious black beans, instead. This recipe is easy to prep in the morning and leave in the crock pot all day while you're out. Be sure to top with some shredded cheese. Chili has never been easier. With pre-cooked black beans and tomato sauce from a can along with instant rice, you've got a healthy, gluten free, vegan dinner at only 541 calories. Black bean chili is a winter classic when you're looking for something to fill you up on a cold day. For an easy, reheatable weeknight meal, this sweet potato and black bean burrito is the answer. Simply puree the ingredients and roll into a tortilla, enchilada-style, for a restaurant caliber burrito. Serve with salsa and alongside yellow rice. Update your tired macaroni salad recipe to this spicy tex mex version. With lime juice and chili seasoned mayo in the dressing, this dish will be a knockout at your next barbecue or backyard get together. Bakes and casseroles can be frozen and re-served whenever you need an easy meal. This chicken bake includes classic southwestern fare like black beans, corn, salsa, and plenty of cheese. Serve with rice for a weeknight dinner or as a potluck offering. Fermented black beans are a staple of Asian cooking and can easily be found at any Asian market. Clams stir fried in a savory black bean sauce are a great seafood alternative to a lot of the meat and carb heavy dishes on this list. Take your black bean craving off the beaten path and give this recipe a go. A light, sweety and savory summer salad like this black bean and mango dish is a great lunch item or pre-dinner appetizer. We reccomend using sea salt or kosher salt rather than regular table salt, and freshly squeezed lime juice rather than bottled. This salad is vegan and doesn't contain gluten.